USA Gymnastics has had a couple of busy weeks, both competitively and at the Board and business levels. In this brief update, I want to highlight the recent outstanding performances of our athletes in key international competitions, and update you on a few other matters, including the search for a new president and chief executive officer. Firstly, and most importantly, a bit about gymnastics and our wonderful athletes — at every level. Around the country, the athletes and coaches on the national teams and throughout the community are continuing to focus on training for local, state, regional, national and international competitions, including World Championships and the 2020 Olympics. In addition, young people of every age are enjoying gymnastics and striving to do their best in their gyms nationwide. 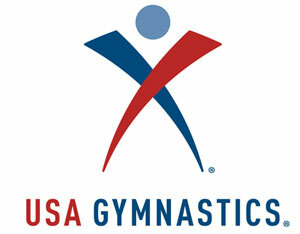 Earlier this month, the United States qualified full teams for the 2019 Pan American Games in men’s and women’s gymnastics and trampoline based on their results at the 2018 Pan American Championships. Our athletes were excellent ambassadors for the USA and represented the USA and USA Gymnastics very well. We are proud of how they competed and what they achieved across the three disciplines. Women’s gymnastics: six gold – team, all-around, vault, uneven bars, balance beam, floor exercise; two silver – all-around, uneven bars; and three bronze – vault, beam, floor. Men's gymnastics: two gold – team, pommel horse; one silver – pommel horse; and three bronze – all-around, floor, parallel bars. Trampoline: two gold – men’s individual and women’s team; three silver – men’s team, women’s individual and synchronized; and one bronze – women’s individual trampoline. At the recent World Rhythmic Gymnastics Championships, our team achieved its best finish ever in the team competition with seventh place, and in the all-around, both gymnasts finished in the top 20, including an eighth-place ranking. The USA’s group finished in 14th place, qualifying for the 2019 World Championships that is a qualifier for the 2020 Olympic Games in Tokyo. Next week our rhythmic gymnasts head to Lima, Peru, for their Pan American Championships, the qualifier for the 2019 Pan American Games. Congratulations to all our inspiring athletes and good luck to those competing soon. Also, this week, the men’s program is holding its World Team Selection Camp. The camp selection competition concludes on Saturday, which will be livestreamed at 3:30 p.m. MT via USA Gymnastics YouTube Channel. Please tune in and watch! Secondly, the business of USA Gymnastics has not stopped. The management committee, with four Board members, is assisting the staff in conducting the organization’s day-to-day business, and both staff and the Board are in regular communication with the United States Olympic Committee and the International Gymnastics Federation. Both are very supportive of our ongoing efforts. This week, Board members Stefanie Korepin and Kathryn Carson are representing USA Gymnastics at the USOC’s annual Assembly in Colorado Springs, Colo. Having USA Gymnastics represented at this meeting is important, and after Kathryn and Stefanie return, they will provide a short update of the USOC Assembly. Lastly and importantly, I want to update you on the search process for USA Gymnastics’ new president and CEO. Our board is forming a CEO Search Committee chaired by Board member and Olympian Brent Lang. The Board has discussed the approach to the search. We are evaluating executive search firms, soliciting and receiving input from a broad range of stakeholders on the specifications and requirements for the CEO and have begun soliciting candidate interest at this time. There has been strong interest, and the committee and others have received a number of inquiries. Once selected, the search firm will vet candidates. The specifications and requirements for the position, as well as directions on how to apply will be posted as soon as practicable. The committee hopes to have a permanent CEO by the end of 2018, and we’re determined to find the candidate who can best lead USA Gymnastics into the future. This is a critical selection for USA Gymnastics, as we can all appreciate. In the interim, the Board is considering short-term leadership options, including the possibility of bringing an interim CEO on board. Your Board appreciates you, the dedicated and passionate professional members, volunteers, and member clubs who work every day to offer a safe, fun and competitive environment for every athlete. USA Gymnastics will continue to be an organization that brings out the best in the sport, and we will get even better.